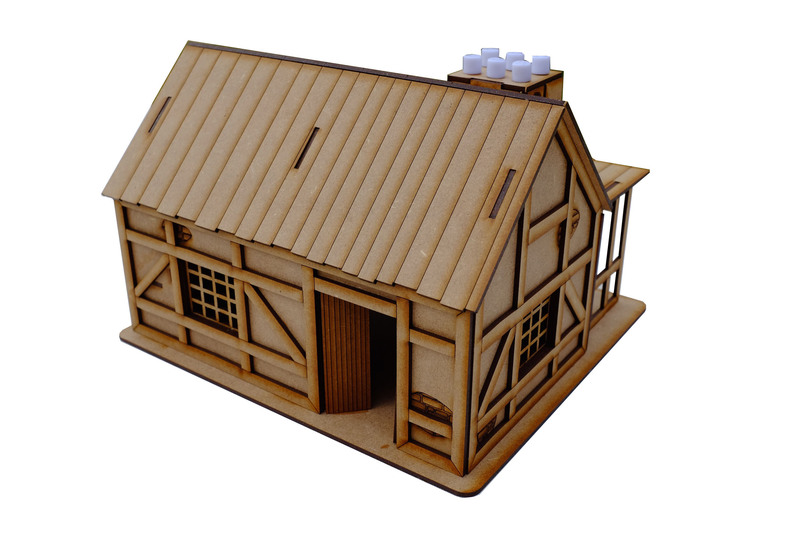 The latest addition to our Fantasy/Medieval range is this suburb Blacksmith Smithy. The Smithy had an external and internal forge with the outside forge covered by a flat roof. Inside the smithy there is a the second forge and a small upper platform and steps. The roof is removable giving full access to the interior. 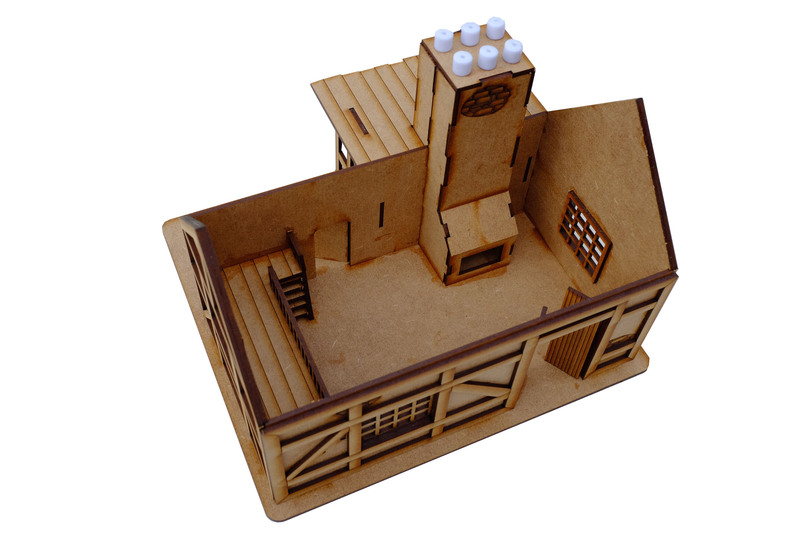 The kit measures 210mm x 195mm x 140mm high.